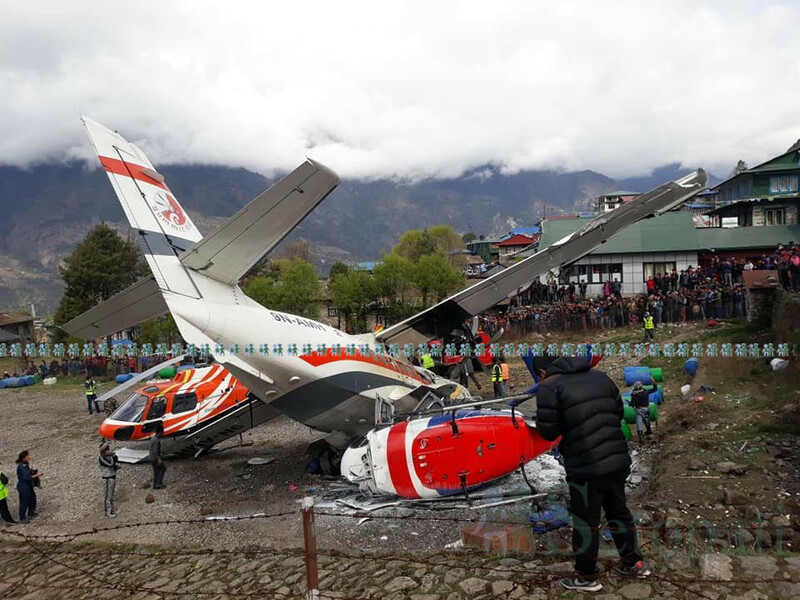 Three people have died after a small plane crashed into a helicopter that was parked up during takeoff at an airstrip close to Mount Everest. They are undergoing treatment at Grande International Hospital. The airport - called the gateway to Mount Everest - is one of the world's most risky because of the short runway and the mountainous surroundings. Only helicopters and small winged aircraft are allowed in this airspace.